While electronic data processing is a relatively new concept to the business world, it is an extremely important one. When an organisation efficiently utilises information, it is able to drive productivity and profits and thus advance as one of the leading entities of its industry. Your organisation can gain this competitive advantage with the Kofax technology Xeratek brings to UAE. 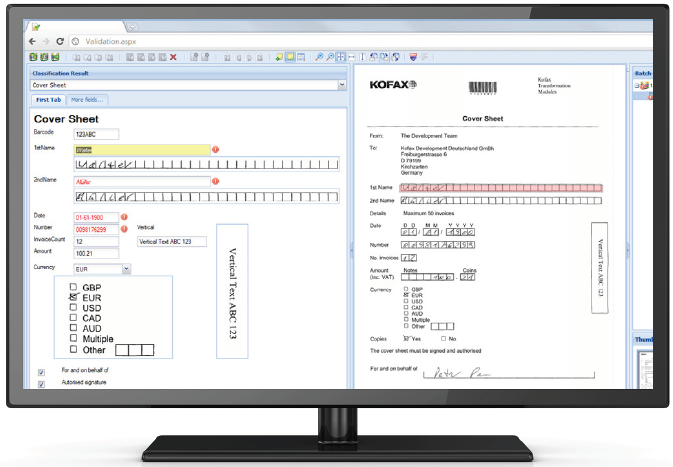 Going beyond the scanning and storing functions of traditional content management systems, the Kofax Capture™ platform can capture, process, and integrate data directly into your organisation’s essential business processes from anywhere in the world using its secure and transparent methods. With the help of Xeratek, your organisation will be able to wield data like never before. Kofax Capture™ is a dynamic, multichannel data capture platform that is capable of converting raw data received from any kind of document into useful information for your organisation. Whether data is collected from a paper survey or an online database, at one of your office locations or a customer’s home, the Kofax system can capture the data, process it, and deliver it as actionable information into your organisation’s business processes and systems. Our clients at Xeratek are able to improve their operational efficiency and communication with stakeholders by using Kofax’s fast, accurate, and powerful methods of data analytics that are guaranteed to be transparent and secure. 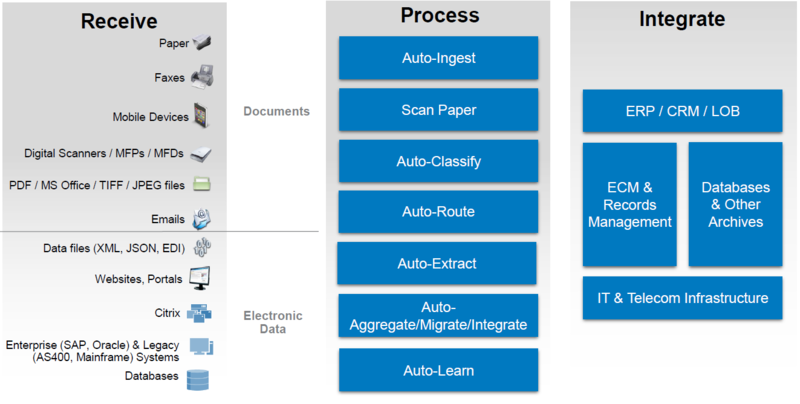 The Kofax Transformation™ is a document processing software that automates the processes of capturing documents and extracting data for further processing or storage. 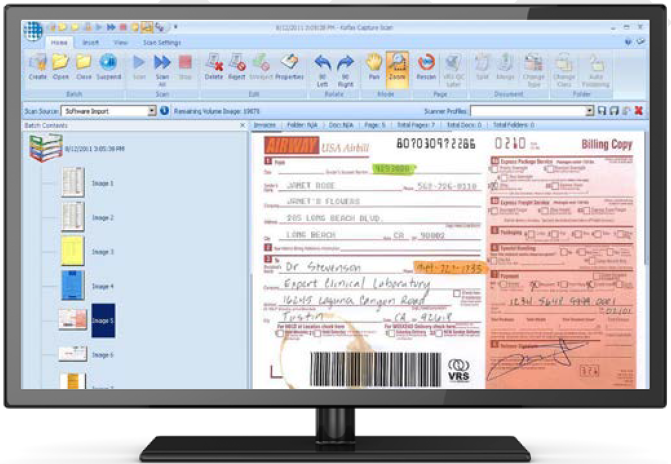 It supports the conversion of documents into useful digital information for your organisation. Because it uses advanced capture technologies that classify, separate, and extract information from all kinds of documents, our clients are able to rely on Kofax alone to process documents for their organisation’s every business purpose. It is particularly useful for Xeratek’s clients in process-heavy sectors like government, finance, healthcare, oil and gas, and supply chain/manufacturing, where the software significantly reduces the time, costs, and potential for error associated with processing documents in large numbers.